a. 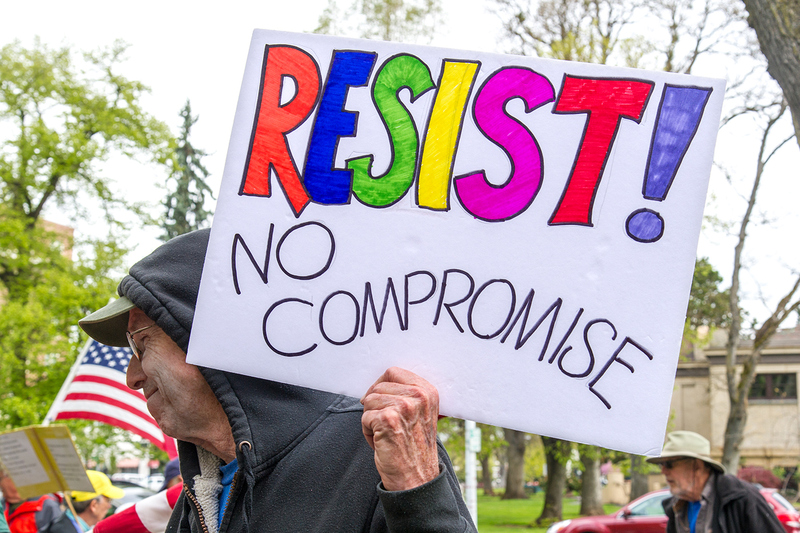 Make simple signs that can amplify your message without using your voice. b. Note: You may or may not be allowed to bring them inside. a. Use two standard-size sheets of paper, one with the AGREE in huge print (ideally on green paper) and the other with DISAGREE (ideally on orange paper). b. If you can, make many – to share! 3. Print the following STAND UP statement on a small card. a. If you are the first member of Indivisible chosen to ask a question, please read this statement before your question. 4. Prepare three to five questions. a. Prepare more than one just in case someone asks your question first. b. Use one of the questions we suggest below, or create questions of your own. c. Think about your personal stories relating to the laws, policies and issues. Personal stories have a profound effect, reflecting your sincerity and emotions. d. Write your story/questions down and practice reading them in advance. e. Make a copy of your story/questions to hand to Walden’s staff and include your contact information. 1. Your signs and your AGREE/DISAGREE cards. 2. Your STAND UP statement. 3. Your story/questions and extra print-outs for his staff. 4. 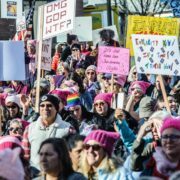 Pussyhats, t-shirts with bright colors and political messages are encouraged. 1. When you arrive: Make sure each person in your party gets a ticket or signs the sign-in sheet with the congressman’s staff at the entrance. This ticket may enter you in a lottery to ask a question. 3. If you are the first Indivisible member chosen to ask a question, read the STAND UP statement first. b. Thank the congressman for holding this meeting so he can have an open dialog with his constituents. c. Either read a question from your notes or adapt it into your own words. 5. When a colleague asks a question that falls into the category of “resisting Trump’s agenda,” applaud loudly and cheer so it’s clear there is a consensus in the room. 6. Take photos/videos and share on social media so your friends can be inspired to do what you are doing! If there is a speaker next to you asking a question, record it. The more perspectives we have from the event, the better. 7. When the session ends, if you got to ask a question, look for members of the press so they can property identify you, and so you can repeat your concerns and respond to his answers to your questions. 1. Keep your eye on the prize. Your job isn’t to convince your MoC—it’s to make him or her give you an answer or make clear to all watching that they refuse. 2. Be a storyteller. Incorporate your own personal story in your question. Keep in mind your audience is as much your neighbors and fellow town hall attendees as it is the MoC. Be honest, be vulnerable, and tell stories that matter. 3. Make a concrete, verifiable ask. The best asks are clear, actionable for the MoC, and easy to verify, whether they followed through or not. If you ask any MoC “Will you fight for me?” Every single one of them will say “Yes!” and then go about their day. If you ask them, “Will you commit to voting against X upcoming bill?” they may answer directly or they may prevaricate, but regardless they will adjust their decision-making calculus. Push for definite “Yes” or “No” answer to your question. Repeat the answer back to him. 4. Don’t settle for talking points. MoCs love to fall back on a set of canned responses to your REAL questions. Don’t let them. Force them to engage with your humanity. 5. Know your strengths. 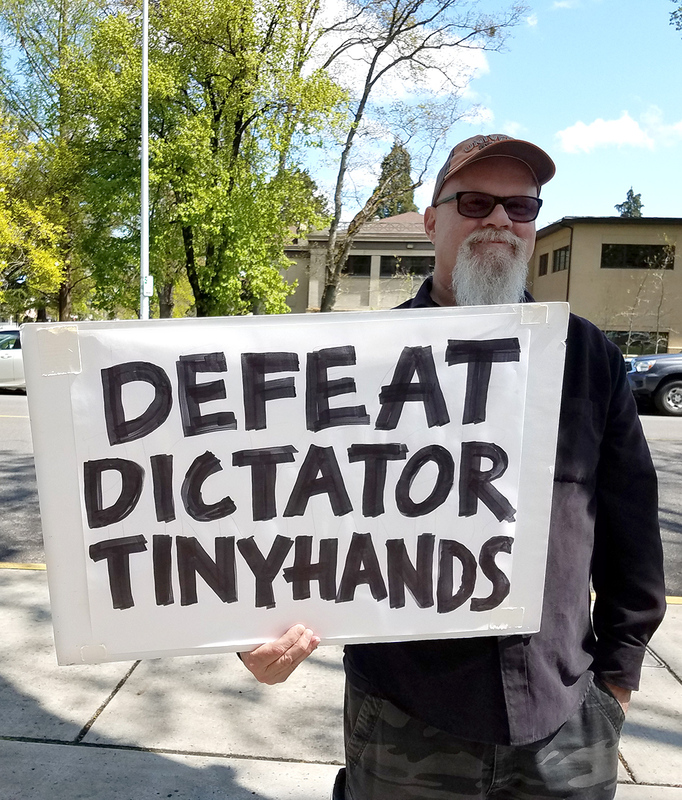 Just want to show up to the town hall, but don’t want to ask a question? That’s OK! Showing up is doing your part—you’re supporting everyone else in the room. Be honest about your strengths and limitations because that will make the work stronger. 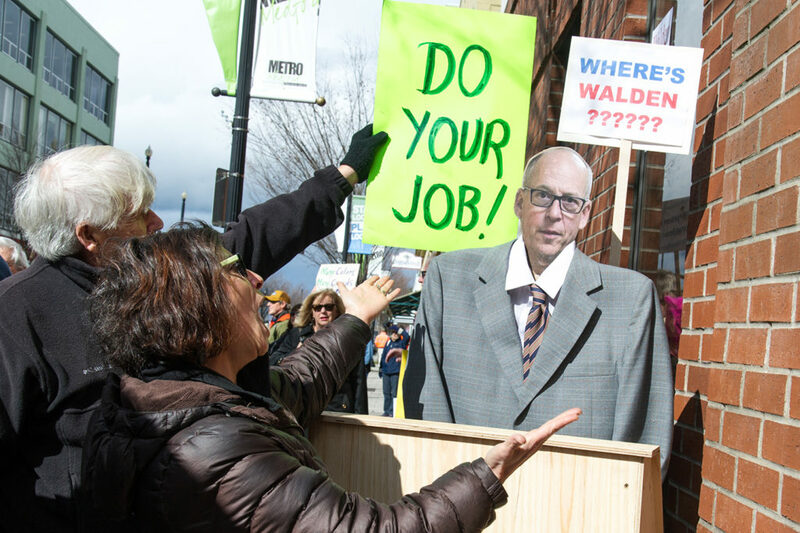 Here is a list of issues, with specific questions we want to ask Walden. Choose one of these questions, create your own intro to it, make it personal, say why you care. Or, create your own question — whatever is most important to you. 1. 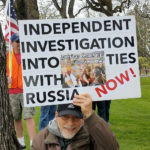 Will you support an independent investigation into Russia’s tampering of our elections? 2. 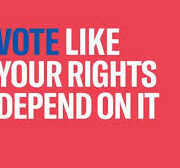 Will you co-sponsor HR356, “The Protect Our Democracy Act,” which would create an independent commission? 1. 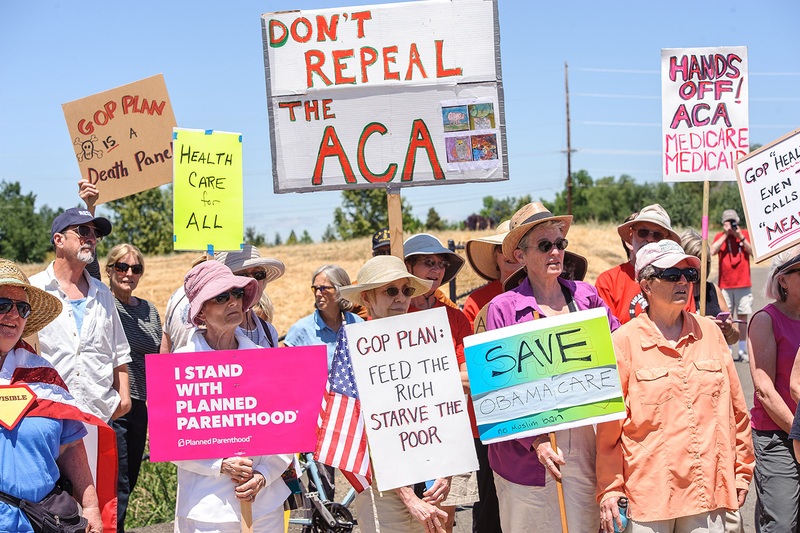 Will you commit to dropping efforts to repeal the Affordable Care Act? 2. 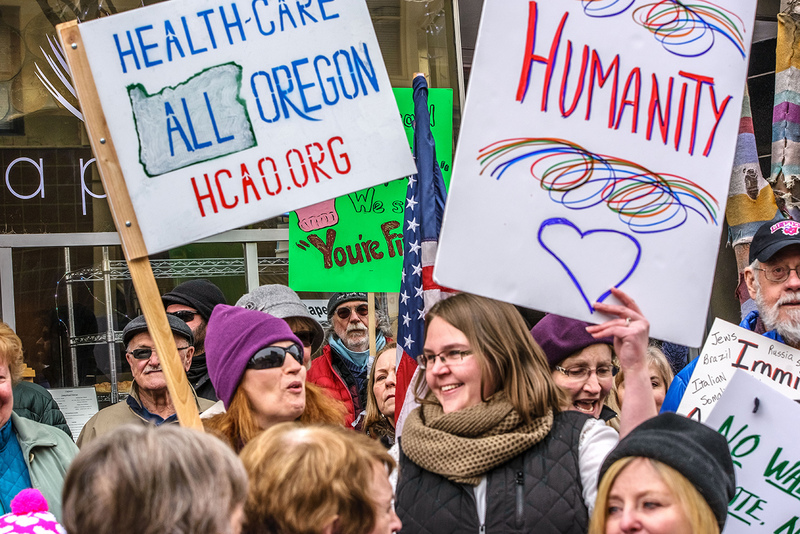 Will you work with congress members across the aisle to make the ACA work, so that thousands of people in your district won’t lose their health care? 3. Can you assure me that Medicaid will be protected, and that everyone who is entitled and eligible will be covered? 4. The latest version of the AHCA would allow insurance companies to no longer cover 10 essential health benefits, including prescription drugs, maternity and newborn care, mental health and substance abuse treatment, lab and diagnostic tests, hospitalization and emergency services. It would also allow them to charge more for people with pre-existing conditions. Are you going to let them take those benefits away from us – the people in your district? 1. Tell me why a corporation’s bottom line is more important than my internet privacy? 2. Why does a corporation have the right to open my emails and watch where I go on my private computer? 1. You’ve stated you believe in human-caused climate change. But will you commit to voting FOR legislation that supports the key elements of the Clean Power Plan and calls for the US to continue to take the lead in the Paris Agreement? 2. 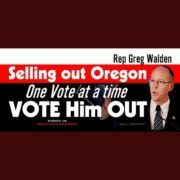 Do you support dismantling the Environmental Protection Agency, and eliminating regulations that would protect Oregon’s forests, rivers and air quality? 3. Do you support the Keystone pipeline in South Dakota and the Jordan Cove pipeline here in Oregon? Why? 1. Do you believe the occupation of the Malheur Wildlife Refuge was legal? Do you think the occupiers should be held accountable? 1. TAX RETURNS: Do you believe as I do, that Trump should release his tax returns to prove he isn’t using the office of the president for financial gain? To prove that, will you co-sponsor the Presidential Tax Transparency Act? 2. FEDERAL BUDGET: Will you commit to me, your constituent, that you will oppose any funding bill that makes unnecessary cuts to social programs like PBS, NEA or the EPA? 3. TRUMP FAMILY: If your party is truly interested in cutting spending, are you concerned about the extra millions of dollars spent each week to provide Secret Service details to Trump’s far-flung family? 4. THE WALL: Do you support spending $10 billion of my tax money to build a wall between us and Mexico? 5. 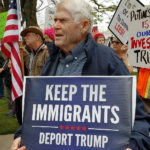 IMMIGRANTS: Do you support spending $3 billion of my tax money to create a mass deportation force – a force that will raid and round up immigrants, tear apart families and send children back to countries they don’t remember? 6. SYRIA: In light of Trump’s recent order to attack a Syrian airstrip in retaliation for Syria’s use of chemical weapons, do you think Congress should be involved in any future war-making, as the Constitution requires? 7. MAR-A-LAGO: Do you feel it’s proper for Trump to be meeting foreign leaders at his Florida resort, where security is expensive and he personally profits from the meetings? Isn’t such profiteering illegal? 8. VETERANS: You often remind voters how much you support the military and veterans. Why then, did you vote for – without a word of objection – a 2016 Veterans Administration budget from the Republican-controlled house that cut $1.4 billion in services for our nation’s veterans? We look forward to seeing many of you at these Town Hall Meetings. WE ARE INDIVISIBLE!